Playing what he describes as “the best poker” of his life, Phil Hellmuth was the last man standing in the World Series of Poker Europe Main Event (a starting field of over 400 players). 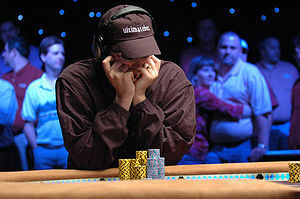 Hellmuth held the chip lead for most of the final table thanks in part to adopting a more aggressive playing style than most fans of the “Poker Brat” are used to. Antonio Esfandiari covered the live stream of the final table and was taken aback by Hellmuth’s performance: ” I was shocked, impressed and completely confused by Phil Hellmuth today.” Esfandiari stated. By defeating Ukranian businessman Sergii Baranov, Hellmuth won 1.02 million euros and took the lead in the WSOP Player of the Year standings (which he will win unless Greg Merson can win the WSOP Main Event set to resume later this month). Phil became the first player to win the Main Event of both the WSOP and WSOPE and seemed to appreciate the history he was making, ” I know people don’t expect me to use this word, but I’m humbled,” he said. 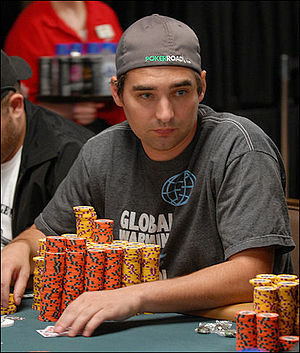 “I’m trying to figure out if this is real or not.” Hellmuth also joins Esfandiari as the only other player to win more than one bracelet in 2012 and extends his own record of most bracelets won, widening the gap between himself and Doyle Brunson and Johnny Chan who are tied for second with 10 bracelets apiece. PokerStars Carribbean Adventure start January 5 next year but you can qualify online now. Why not spend some time in the Bahamas, play some poker, and maybe win some money. The press release is below. LONDON — (PRESS RELEASE) — PokerStars has unveiled the 40-event tournament schedule for the upcoming PokerStars Caribbean Adventure (PCA), calling it the “10 best days of poker on the planet” and kicking-off a 10-week qualification campaign that will award 100 packages for the prestigious Main Event. Far removed from the roasting heat of summer on the Las Vegas Strip, the PCA offers players the greatest variety of game types and buy-in levels of any poker festival of its kind, complete with luxury five-star accommodation, some of the biggest prize pools in live poker, and opportunities to mix with glamorous celebrities and pros, all just a few steps from the beautiful white sandy beaches of the Caribbean. The 2013 PokerStars Caribbean Adventure kicks off on January 5 next year at the exclusive Atlantis at Paradise Island Resort and Casino in the Bahamas. To celebrate the event’s 10th anniversary, PokerStars is offering a range of $10 buy-in tournaments that will award 10 PCA packages every week for the next 10 weeks, providing 100 players with the opportunity to attend the biggest poker festival outside Las Vegas. The PCA 10 promotion will run from October 1 to December 9 with qualifying tournaments taking place every Sunday at 12.00 ET (18.00 CET). The Main Event package is worth $16,000 and includes $10,000 Main Event buy-in, nine nights’ accommodation at Atlantis, plus flights and expenses. Throughout its history, the PCA has always sought to deliver a schedule of events which includes all major game formats, while being innovative and fun, and January’s event has something for everyone, with plenty for No Limit Hold’em and Pot Limit Omaha fans, and lots of choice for mixed games lovers and high-rollers. The announced schedule includes NLHE daily turbos at a range of limits, starting from $300 and going up to $10,000. For those in the mood for less fast-paced action, there are the traditional NLHE events at buy-ins from $1,000. Other highlights include a $1k NLHE multi-flight re-entry event, a $5k NLHE tourney with 60-minute levels, and a $5k NLHE 6-max. The NLHE ‘Win the Button’ and ‘Ante Only’ tournaments are making a welcome return, and there are also $1k HORSE, Triple Stud and Omaha 8 events, which are all on the schedule for the first time. There is also a series of 10 ‘Signature Trophy Events’ to celebrate the 10th anniversary of the PCA, which includes the flagship $10,000 Main Event and the $100,000 Super High Roller. For players who want cash game action, there will be daily games covering all game types and limits. January’s PCA also marks the introduction of the first-ever live ZOOM Mobile Challenge, a $1,000 buy-in fast-fold poker tournament played on PokerStars’ innovative mobile poker client. Players will be challenged to accumulate as many chips as they can in 12 minutes and compete for their spot on the leaderboard. It will be an unlimited re-entry tournament with a $50,000 guaranteed prize pool, running over five consecutive days. In its nine-year history, the PCA has seen over 20,000 players head to the Caribbean, awarded more than $100 million in prize money, and crowned nine champions, including Gus Hansen, Bertrand ‘ElkY’ Grospellier and last year’s winner John Dibella. 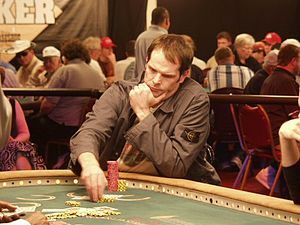 The 43-year-old stock trader from New York took home $1,775,000 and became the first amateur player to win the PCA Main Event tournament after qualifying in a live satellite for the $10,000 buy-in Main Event. EPT Live will be webcasting the cards-up action from the final tables of the Super High Roller, the High Roller and the Main Event ‘as live’ (one-hour delay) on PokerStars.tv. The shows will feature commentary from the pros, interviews and viewer freerolls. Please note that for the majority of tournaments, 3 percent of the prize pool will be used to pay dealers and floor staff. This arrangement does not apply to a small number of tournaments. For further information, please contact pca@pokerstars.com. Bwin.Party has sold the Ongame Network to Amaya Gaming. The network sold for around $19 million dollars but the price could go up if the U.S. regulates online poker in the next few years. The deal comes months after Shuffle Master pulled out of a similar deal to purchase the network. Ongame is home to several different poker rooms including Betsson, Betfair and Coral. The Press Release is below. bwin.party today announces that it has agreed to sell Ongame, its business-to-business (‘B2B’) online poker network, to Amaya Gaming Group Inc. (‘Amaya Gaming’) for a total cash consideration of up to €25.0 million. Contingent consideration will become payable by Amaya Gaming if there is regulated online gaming in the United States within five years of completion. The exact amount of the contingent consideration will depend upon the extent of the regulation based upon the number of states that regulate and the total population covered. The transaction is subject to the normal terms and conditions for a transaction of this type as well as certain regulatory approvals and is expected to complete during the fourth quarter of 2012. The management of Ongame will transfer with the business and the net sale proceeds will be used by bwin.party for general corporate purposes. Ongame Network Ltd (‘Ongame’) is one of the world’s largest B2B poker providers. The global network includes 25 of the e-gaming industry’s strongest brands that are owned by a total of 19 operators. Ongame also operates regional networks in France and Italy. 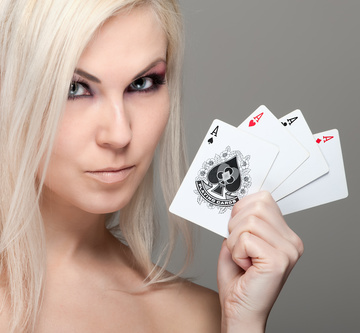 The company offers both operators and their players a wide variety of cash games and tournaments to choose from. Further information about Ongame can be found at http://www.ongame.com. bwin.party was advised by McQueen Limited. 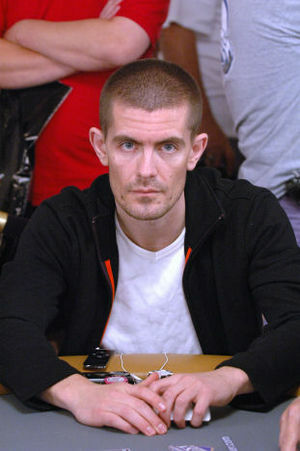 Gus Hansen has agreed to represent the new Full Tilt Poker according to a press release issued today. The role will be a familiar one for the popular Danish poker player who held a similar position with Full Tilt under previous management. Hansen, a world-class backgammon player as well as one of People Magazine’s “Sexiest Men,” has long been a fan favorite. Since the demise of the old FTP Gus has played online at PokerStars (mostly PLO and PLO8) under the screen name “Brokski.” After Tilt’s re-launch this November, Gus will be back “home” and he’s ready for the challenge of rebuilding the reputation of the former #2 site in the world:”I’m very excited to represent the industry’s most authentic poker brand” Hansen stated. Players around the world are eagerly awaiting the return of FTP and Gus’s high stakes matches. DUBLIN – October 2, 2012 – FullTiltPoker.com today announced that international poker star and tournament legend Gus Hansen will return as brand ambassador for the site, which plans to re-open for real-money poker on November 6, 2012. 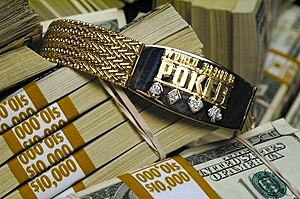 In August, PokerStars obtained the assets of Full Tilt Poker and committed to reimburse Full Tilt Poker customers outside the U.S. whose accounts have been inaccessible since the previous management closed the site in June 2011. Full Tilt Poker will offer real-money poker games and tournaments globally, with the exception of the U.S., France, Italy, Spain, Denmark, Estonia and Belgium. Full Tilt Poker’s customers in the rest of the world can soon look forward to accessing their accounts and playing on the re-launched site, confident that they are supported by PokerStars’ history of integrity combined with Full Tilt Poker’s track record of delivering the highest quality online poker experience. Hansen, a poker icon and four-time WPT champion, already boasts career tournament earnings of nearly $11.2 million and is widely considered to be one of the best all-around players in the world – whether it be large tournaments, live cash games or online. As a former Full Tilt Pro, Hansen, 38, is excited to be returning to one of the world’s leading poker brands. 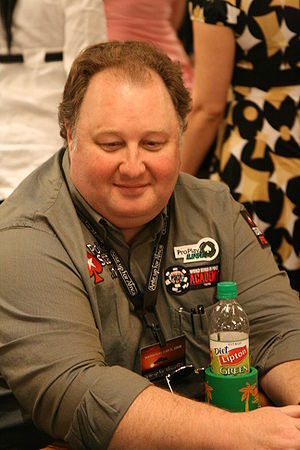 Full Tilt Poker is being re-launched in November 2012 by The Rational Group, which also operates PokerStars, the world’s largest online poker site. Full Tilt Poker plans to operate globally under license from the Isle of Man, which provides rigorous regulatory oversight and deploys the best practices in ensuring player fund protection and the security and integrity of online poker. 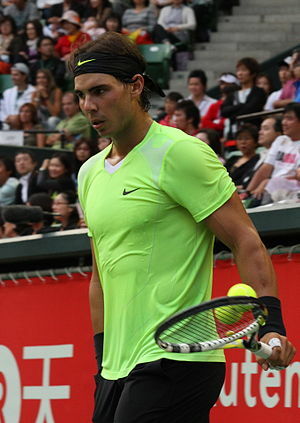 PokerStars just released a new video featuring Team PokerStars SportStar Rafa Nadal. The video features Nadal learning how to bluff by pretending to be an ordinary guy (who bares an uncanny resemblance to Rafa Nadal) working at a golf clubhouse. Check out the candid reactions below. This is latest video from Nadal and PS who earlier released a TV spot showing off PokerStars mobile app.